A cheerful, happy dog, the Bichon Frise is small and sturdy with a dark-eyed inquisitive expression and a plumed tail it carries merrily over the back. The breed is often compared to a cotton ball due to its curled double coat, which consists of a textured outer coat and a silky undercoat. The Bichon Frise appeared in the 13th century as a descendent from the Water Spaniel. Traded by Spanish sailors and transported from continent to continent, the breed eventually became a favorite of those in the 16th century French royal courts. 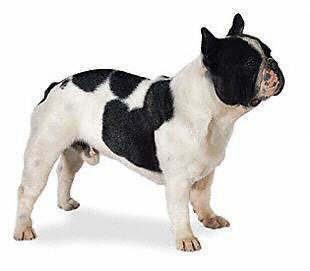 The breed was also favored by the painters of the Spanish school, who often included them in their works. Although the breed’s colorful past includes use as a circus dog, today the Bichon is enjoyed primarily as a companion animal. The Bichon Frise is a breed that is sweet tempered, merry, and eager, always wanting to please his owners and family. These dogs are very entertaining and make for great companions, and have a very gentle nature and are sensitive and affectionate. 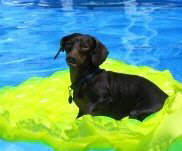 This is a little dog that loves to play, and is very sociable with plenty of personality and a fun loving disposition. The Bichon Frise is a dog that loves to spend time with his family and loves interaction with humans and other animals. They do need plenty of attention and devotion, and love to perform tricks and show off. They are very adaptable, and will be happy in various living environments. The Bichon Frise is a breed that is sweet tempered, merry, and eager, always wanting to please his owners and family. These dogs are very entertaining and make for great companions, and have a very gentle nature and are sensitive and affectionate. 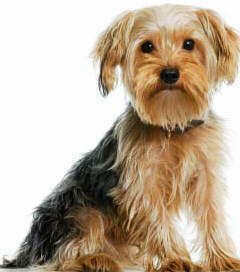 This is a little dog that loves to play, and is very sociable with plenty of personality and a fun loving disposition. 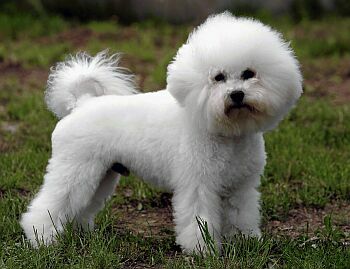 The Bichon Frise is a dog that loves to spend time with his family and loves interaction with humans and other animals. They do need plenty of attention and devotion, and love to perform tricks and show off. They are very adaptable, and will be happy in various living environments. The Bichon Frise is fine for novice dog owners as well as more experienced ones, and will fare well around considerate children. He will also get on well with other pets and is amiable around strangers. These dogs are not bossy or dominant, but they can be very independent. Housebreaking the Bichon Frise can be a difficult task, and some can be quite noise with their high pitched barks. All in all, the Bichon Frise is a wonderful little dog with a cheerful outlook, bags of enthusiasm, a sociable personality, and is perfect as a family pet or companion dog. The Bichon Frise requires frequent grooming. They are known as a high maintenance breed. Daily brushing is a must, as their coat tends to mat very easily. Professional grooming every four weeks is recommended to keep them looking their very best. The Bichon does not shed, but the loose hairs have a tendency to become entangled in the coat, which become matted. This is a very big reason this breed should not be an outdoor dog. You should also ensure that you check the ears regularly to reduce the chance of infection, and that you trim the hair around the bottom for hygiene reasons. The Bichon Frise has a life expectancy of around 14 years. A number of health problems and disorders are associated with this breed, and this includes luxating patella, epilepsy, cataracts, bleeding disorders, allergies, and bladder stones. 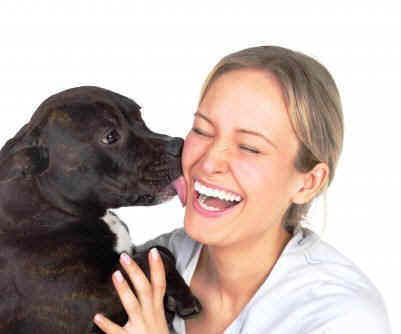 They are prone to skin problems, allergies, ear infections, and deafness. Dental hygiene is extremely important to prevent tooth loss. They are sensitive to fleabites. Bichon Frise are able to fulfill their exercise needs by adapting themselves to family activities. However, this is not a breed for a sedentary lifestyle. They enjoy daily walks and play sessions. They are well suited to apartment living provided appropriate exercise is given. The Bichon Frise loves to run and play in a securely fenced yard.